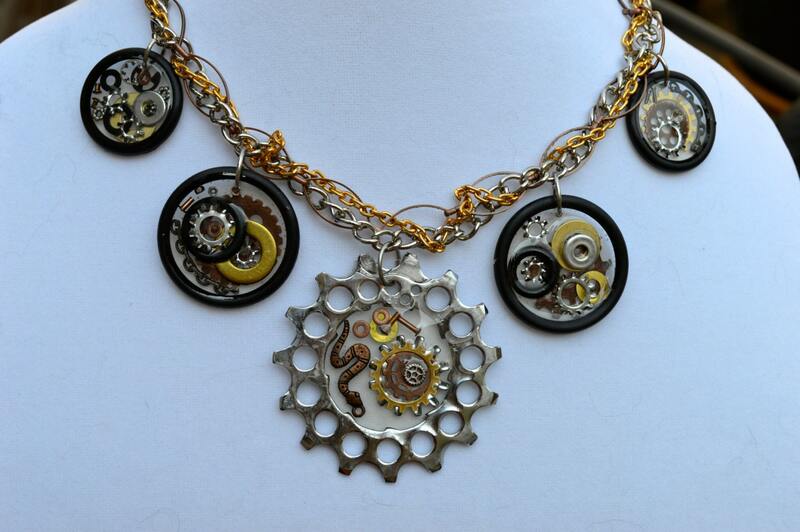 I made this statement necklace with a recycled bicycle cog as its center focus. 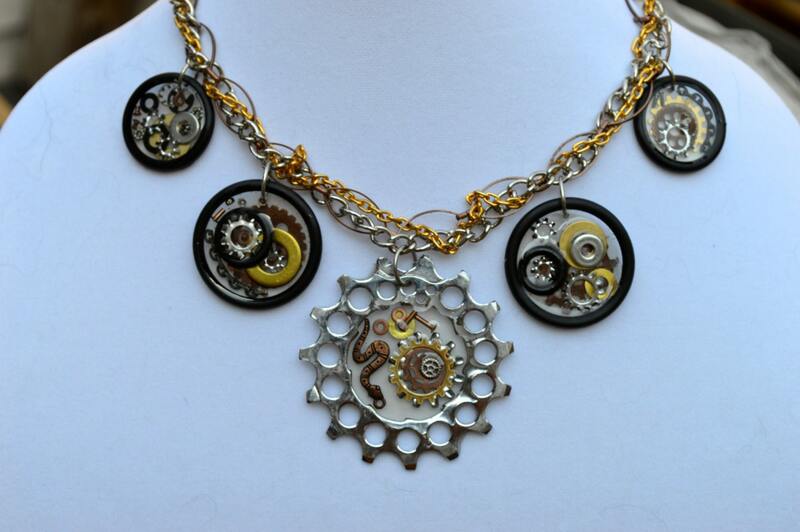 I used non toxic ice resin to embed hardware washers, gears, rivets, screws and rubber o-rings into the center of the cog. Rubber O-rings are also filled with non toxic ice resin and inlayed with hardware washers and gears. 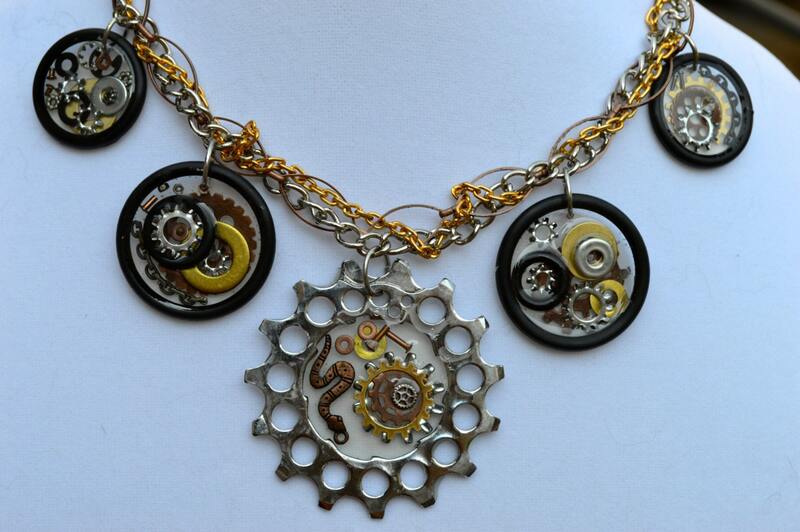 All are attached onto braided mixed metal chain. This is a one-of-a-kind necklace. Other similar designs can be custom ordered.